Here in NH our little September heat wave has broken. There’s a chill in the air when we wake up and the humidity has finally cleared. Perfect baking weather! If you’re looking for something to do this weekend, there’s no shortage of new tutorials for pretty things to make on the Craftsy cake decorating blog. These tutorials are a few of my recent favs. The buttercream petal technique is sweet, simple, and super popular. I’m typically not a cupcake gal, but the star, moon, and cloud cupcakes have me smitten. Last, but not least, a roll cake show-stopper that I’ll definitely be bringing back around the holidays with some new patterns. Buttercream Petals: 2 Techniques for creating petals on the sides of a cake and to add simple embellishments. This style has quickly become a buttercream staple. Learn two techniques for creating a pretty petal finish and a sweet & simple little flower. Perfect for a hip baby shower or celestial first birthday celebration. I dress up the classic roll cake with Rifle Paper Co. inspired florals. This is a great technique to master with the holidays right around the corner. 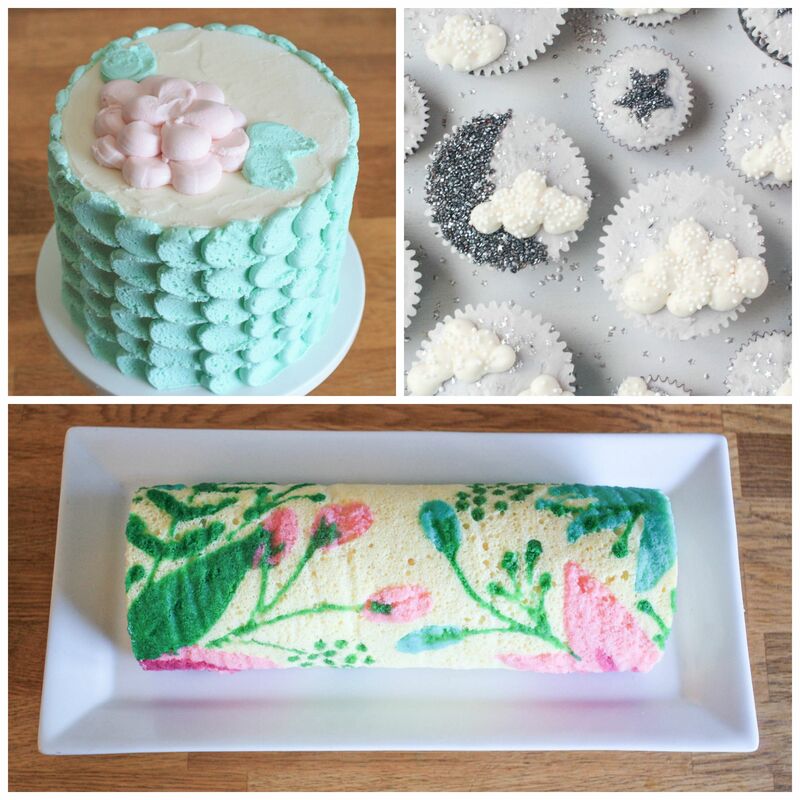 « Craftsy Blog Post Roundup – Free Cake Decorating Tutorials and More!